Whether you have decided to buy online, from a flooring wholesalers or a private manufacturer, once you have found the perfect place to buy flooring, it is important that you understand the questions you need to ask to make sure you are getting the best deal. Below is a guide to 7 questions you should ask when buying flooring. 1 – If I have a problem, who should I contact? If you are not buying your flooring directly from the manufacturer, it is likely that the product will have passed through the hands of several distributors before it reached the store in which you purchased it. Because several different companies deal with the flooring, it is important that you establish who you need to contact if you have a problem. In many cases, if you have a complaint about the quality of the flooring and you contact the retail store, they will pass the complaint onto the distributors. In turn the distributor will inform the manufacturer who will most likely try to pass the blame back to the distributor or the retail store. This can be a very time consuming process. To avoid all this hassle, you should establish exactly who you need to contact before you purchase the flooring. 2 – How long should I allow for the flooring to acclimatise? Different types of flooring require different period of acclimatisation before they can be installed. The acclimatisation process allows the wood to adapt to the ambient temperature and humidity levels in the room. The temperature fluctuations and moisture levels in a room can cause flooring to expand and contract. If you do not allow the flooring to acclimatise to its environment before laying it, you may find that it begins to warp after it has been put in place. This warping can damage the flooring and could result in you having to relay the flooring. 3 – How durable is the finish on the flooring? Once you have found the best place to buy flooring, it is important that your find the best type of flooring for your needs. One of the big differences between different types of flooring is the durability of the finish. If you live in a home which contains kids or pets, it is likely that your flooring will take a regular beating from their feet and paws and so you should opt for a hardwood flooring which had a highly durable finish. 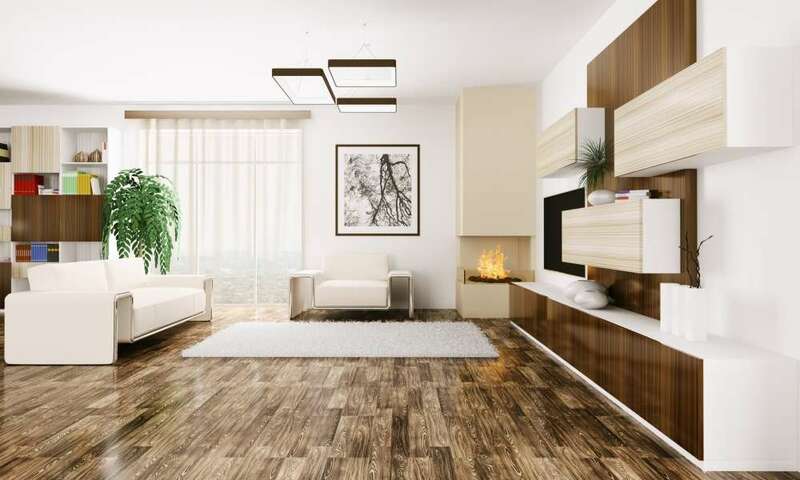 If you live alone or you are planning to floor a room such as a bedroom which doesn’t see much footfall, you could opt for a type of flooring which as a less durable finish such as bamboo. You should also ask the supplier if they supply any sealants or finishes which you can apply to reinforce the finish on your new flooring. 4 – What is the expected waste factor? The waste factor refers to how much extra flooring you will be required to purchase in order to successfully cover a floor surface. The amount of waste is dictated by two things. The size of the flooring panels and the number of them included in each pack and the size of your room. If you are required to purchase bulk packs of flooring which contain many panels, it is likely that you may only need a couple of sections from the final pack, which will generate waste material. If the room in which you wish to lay the flooring is an unusual shape, you will probably have to cut sections of the flooring so it fits. By cutting the flooring, you will generate waste pieces. A flooring supplier should be able to advise you of a percentage based on the size and shape of the room you are working on. The higher the waste factor, the higher the cost of the flooring project will be. 5 – What will the stain or finish look like? Many large flooring manufactures will apply the same finish to different types of flooring without making any adjustments. The can lead to some types of mass-produced flooring having different qualities of finish. Before you complete the purchase of the flooring, you should request to see a sample piece of the flooring so you can compare the quality of the finish to the other options you are considering. If you are unsure if the finish will suit the room in which you are planning to install the flooring, you should ask if you can take the sample home with you so you an see how it looks. 6 – What other grades are available? Manufactures will often divide the same time of flooring into different grades. These grades reflect the finished quality of the flooring. However, there may not be much different between a standard grade and a A1 grade, so it is worth comparing the two. If you are happy with the finish on a lower grade of flooring, you could potentially save yourself a considerable amount of money. 7 – How long is the guarantee? The majority of flooring manufacturers and suppliers will offer some form of guarantee on the products you buy. However, the length of this warranty can differ greatly from company to company. It is important to ask how long the guarantee will last and to check the paperwork to see if there are special requirements which you must meet in order to be able to claim. 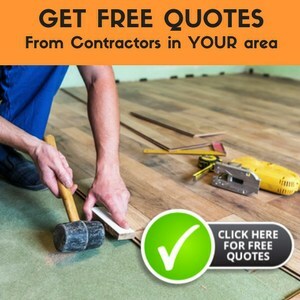 If you experience a problem within this timeframe, you should be able claim a refund on the cost of the flooring or to request replacement packs of flooring so you can complete the job. However, you should never accept a verbal assurance of a guarantee, you should always ask for the detail to be supplied in writing. If you are buying new flooring you will understand that it is a big investment. Once you have found the best place to buy flooring, it is important that you take the time to ask these questions to ensure you get the perfect product for the floor in your home.